This is the Final Post in this series which shows how to Forward log events using vSphere integration. Firstly, you will need to log onto the Log Insight Master Node. Under Administration > Integration, Select vSphere. You will then need to populate the Username and Password to authenticate with the vCenter Server. On the right hand side you will see the field to enter the Syslog Target, this is where you enter the KEMP Load Master Virtual Service. If you are using a Single instance of Log Insight, then enter the Master Node address. Once you have finished adding in the details for vCenter and the Load master VS, Click save and Log Insight will do the rest. 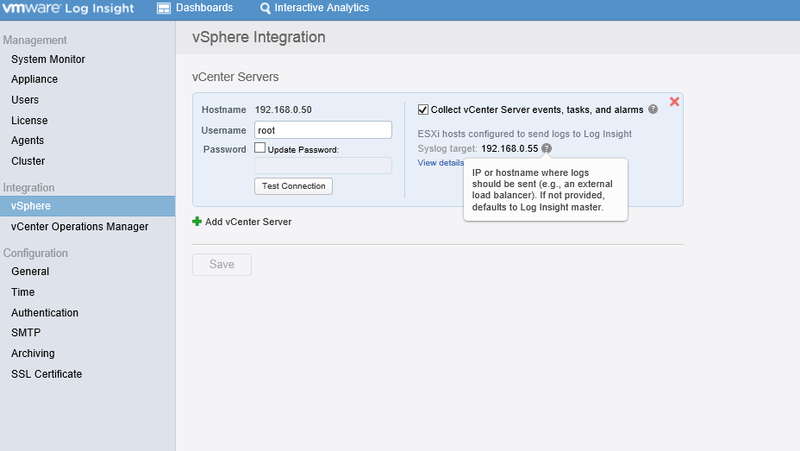 As you can see from the screenshot below, we are now receiving logs from vCenter.